Formulated with an optimized acid combination of 2% Phloretin, 10% Vitamin C and 0.5% Ferulic Acid, Phloretin CF Gel protects skin from the range of reactive molecules known to cause DNA mutations and damage among the integral cell types. As supported by clinical studies, the addition of the Phloretin molecule enhances the efficacy of Vitamin C and Ferulic Acid for increased synergy while regulating pigment production. This trusted antioxidant trio also accelerates cell turnover and stimulates collagen synthesis to boost skin's structure for a firmer, brighter complexion. Used daily, this preventive and corrective treatment provides broad-range photoprotection and conquers damage at every level of skin. Controlled penetration and a soft, comforting finish make Phloretin CF gel ideal for sensitive, combination and normal skin types while also satisfying those who prefer a gel texture. Reconstructs the skin’s support structure. Once in the morning after cleansing, apply 2 pumps of this potent treatment to the face, or 4-5 pumps to face, neck and chest, avoiding the eye area. Excellent product. Easy to bring with you when you travel. One of the best quality on market. SkinCeuticals Phloretin CF Gel Rocks! 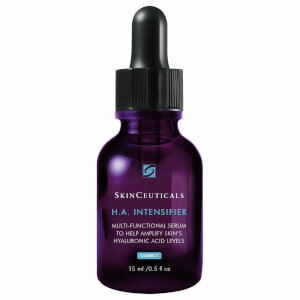 I have used SkinCeuticals Phloretin CF liquid for many years. When I found the gel - I was in love all over again. I can't even know how many times I have accidently spilled the bottle of this. The gel doesn't spill! It is wonderful. I love it and it is easier to travel with. I purchased this product about two weeks ago and I love it. I can see a difference in my skin. I had really bad acne and pigmentation problems. I can definitely see a clear difference. Expensive but good product. i lost half my bottle of the liquid form when i accidentally knocked it over. the gel is in a pump form that corrects that problem plus it goes on easily.